WINGS OF SORROW AND BONE is my favorite Clockwork Dagger novella. It's the longest and meatiest of all the novellas I've read in this series. I love Rivka, she's tenacious and a talented machinist, not very sassy but just as intriguing as any heroine in this series. Also gremlins! The feel of WINGS OF SORROW AND BONE isn't as fantastical as the main books, it's more steampunk actually with all the cool stuff and gadgets described. I'm not sure if Beth Cato is planning to write more books featuring Octavia, if that story arc is dry, I think Rivka would make for a great spin-off lead. 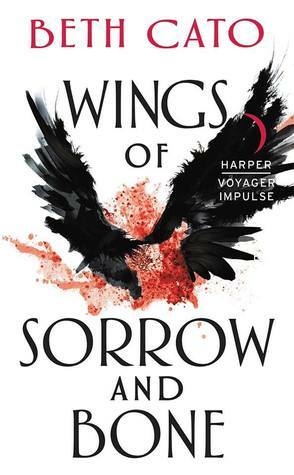 WINGS OF SORROW AND BONE will be a great prequel to a new series set in the same world if BCato feels like it. I've been debating on this series. I may try it when I want some steampunk. Meaty novellas are unheard of. Lol. Glad you enjoyed these! I still haven't read a steampunk novel yet. Novellas are usually a miss for me, so I happy to hear this one was a win for you! Oh nice!! This looks very, very interesting!! She sounds like a great heroine. I still need to start this series. 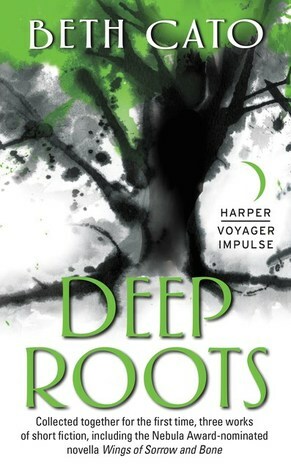 You know, looking at this cover I would not think this series is of steampunk. Sounds amazing though! Would I be able to read this without knowing the series? I love novellas for trying out a series.